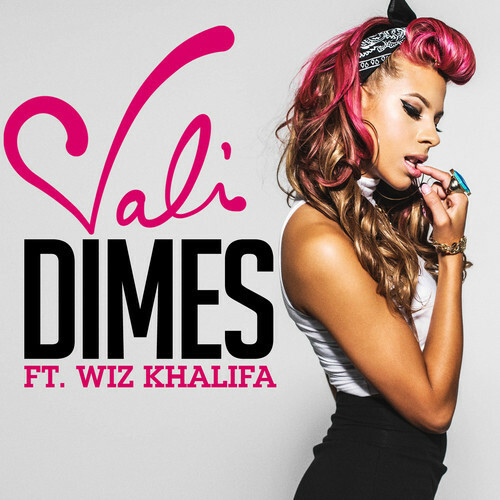 Rostrum Records songstress Vali links up with fellow labelmate Wiz Khalifa for her new club-worthy single "Dimes" which recently hit the internet. The NYC femme fatale turned Rostrum princess lays down some seductive vocals over production provided by The STRZ with a major wordplay assist from Wiz in her trance inducing pop-infused club track. Khalifa spices up the track with a quick and catchy verse colored with the usual boastful bars, as well as some witty lines about Rostrum's new leading lady. Stream the track below and check Vali's June interview with The Breakfast Club.